An interview with Jim Templeton, broadcast on Cumbria News yesterday. This is the first time I've heard Blue Streak mentioned in the mainstream media. I wonder, did the reporter try to take a photo with the same camera in the same spot. If he did, what came out!? Will they show us? I don't know if they setup a new photo but I did find a recent photo of Jim Templeton and his daughter out on the marsh. Almost a publicity shot , but if they did I haven't found it yet !! Regards. 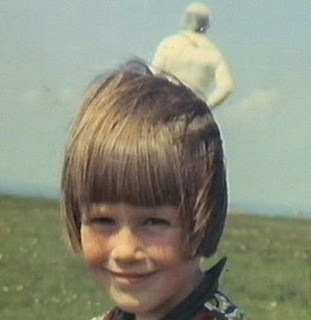 Hi, here is a link to the recent Jim Templeton with daughter, photo on the Marsh (sadly no spaceman recreation). Also, Jim Templeton died this week, aged 91.